Counseling Notes Still Fighting the Phone Companies • Move to End Social Security Garnishment? • New Collection Letters? This newsletter has a bit of both back and forward looking. We’ve been using the post office’s Thoreau stamp in this column since the 200th anniversary of his birth in July 2017. Thoreau’s writings have influenced countless war tax resisters and activists over the years, including thousands of Vietnam War era resisters. Recently the Ken Burns/Lynn Novick Vietnam War documentary re-ignited debate about whose interpretation of history will prevail. Theirs seems to sideline the people who knew that war was criminal from the start, so it’s up to us to lift up those voices. 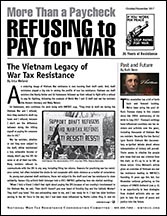 Erica Weiland’s article gives an overview of Vietnam-era war tax resistance leading to NWTRCC’s founding 35 years ago this fall. Our November national gathering on the campus of UMASS Amherst (see p. 6) is an opportunity to hear strategies from student activists who we can join to take the work of peace and justice into the future. An enduring image of Vietnam War resistance is men burning their draft cards. And, draft resistance played a big role in raising the profile of war tax resistance. 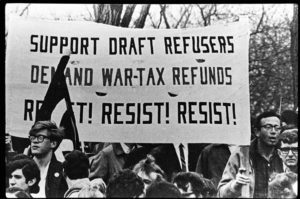 Vietnam era draft resisters like Randy Kehler and Ed Hedemann followed up their refusal to fight with a refusal to pay for fighting, following the example of World War I and II draft and war tax resisters like Ammon Hennacy and Wally Nelson. 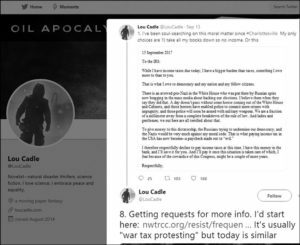 War tax resisters, whether or not they were subject to the draft, either maintained a low, untaxable income or simply didn’t pay the IRS for some or all of their tax bills. Many resisters refused to communicate with the IRS in any way, including filing tax returns. Reasons for practicing war tax resistance varied, but often included the desire to not cooperate with state violence as a matter of conscience. 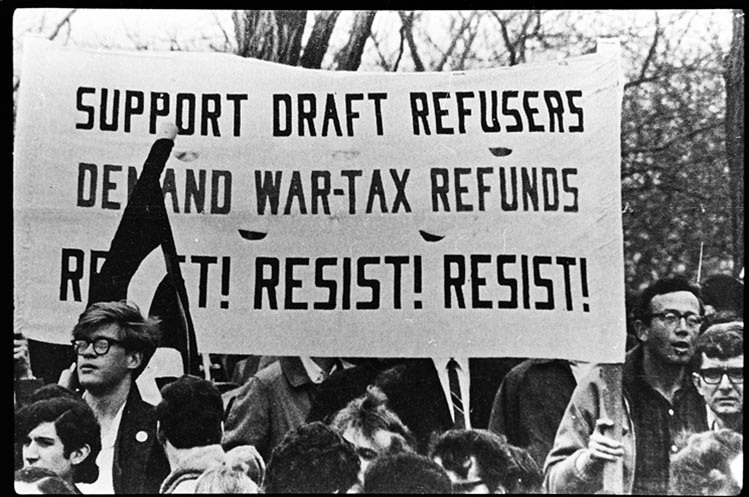 War tax resisters during the Vietnam War era faced a wide range of consequences for their noncooperation including levies on bank accounts and garnishment of wages, letters and visits from IRS agents, lost jobs, seized cars and houses, and in a few cases, jail time. In 1966, Lyndon B. Johnson asked Congress to levy an additional tax on telephone bills to fund the military deployment in Vietnam. 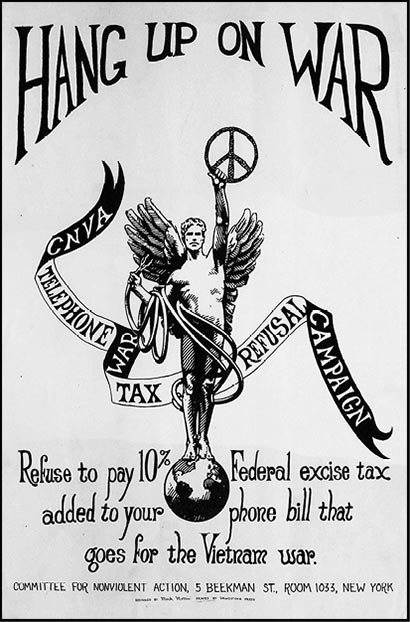 Activist Karl Meyer (still a war tax resister, and now a founder and member of the cooperative Catholic Worker community Nashville Greenlands) wrote the “Hang Up On War” pamphlet to encourage resistance to this telephone tax. By the end of the war, it is estimated that as many as 250,000 to 500,000 people had resisted the telephone tax. During the length of the war, many prominent individuals took up resistance. For example, in 1968, the Writers and Editors War Tax Protest took out ads in three publications, listing writers and editors who pledged to refuse to pay the income tax and/or telephone tax. 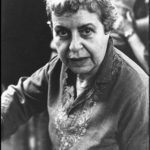 Signers included Howard Zinn, Allen Ginsberg, Grace Paley, Frances Fox Piven, Adrienne Rich, Helen and Scott Nearing, Kurt Vonnegut, and Philip and Daniel Berrigan. Noam Chomsky was also a signer of this ad. In a 2011 interview, he said, “I organized tax resistance in 1965, with a friend. I kept at it for about ten years. I don’t see it as a principle, it’s a tactic. And I felt I had exhausted its potential as a tactic right about then, so I stopped.” Many, if not most war tax resisters seemed to agree with Chomsky. War tax resistance declined sharply after the war ended in 1975, and National War Tax Resistance also folded that year. In 1982, the National War Tax Resistance Coordinating Committee was formed. Many new resisters during the 1980s took their stand as a result of U.S. support of Central American dictatorships in Guatemala, Nicaragua, and El Salvador. There have been surges of war tax resistance during each of the wars in which the U.S. has been involved (though records of how many people are resisters are hard to come by). Those who have kept up their war tax resistance since the Vietnam War or who have started it since then tend to see it more as a principle than a tactic. If cooperating with the militaristic state during wartime is wrong, then it’s still wrong during what passes as peacetime when the military is readying itself for the next conflict. Erica Weiland is NWTRCC’s social media consultant. Well glory be and my word! I just called Verizon as I’d been dreading, and after less than 10 minutes holding got a woman who bloody well knew what war tax resistance is and appears to have totally resolved my account. Removed about $10 late charges, AND gave me the new monthly reporting address. They apparently sold properties in Florida where I’d been sending the NWTRCC slip every month, and in Texas and California, and the post office was told nothing but not to deliver to those anymore. New address is c/o Verizon, PO Box 4846, Trenton, NJ 08650-4846. AND I just got a customer service rating call which allowed several keyed-in-answers and 60 seconds to comment. WOW. Somebody at Verizon is taking criticisms to heart. I’ll totally believe it when my bills remove the FET again every month, but it seems to be settled for now! Move to End Social Security Garnishment? On February 13, 2017, the New York Times ran an editorial that ended with the simple statement “Congress should exempt Social Security income from garnishment.” Entitled “Haunted by Student Debt Past the Age of 50,” the editorial says that the fastest growing group of student loan debtors is over the age of 60. This means that their Social Security payment can be garnished in order to pay off their remaining loans, often pushing these older folks into poverty. In 2015, 20,000 Americans over the age of 50 had their Social Security check cut to below the poverty line because of student loans. In the last decade the number of student loan debtors over age 60 has quadrupled from 700,000 in 2005 to 2.8 million by 2015, and the average amount owed has doubled to $23,500. These numbers are a disturbing representation of the cost of education that can lead to excruciating amounts of debt and ruined lives. Interesting that the Times is championing this reform, which would be a great benefit to older war tax resisters also, but for now there is no indication that Congress is feeling the pressure to make the change. Maybe this is finally a real step toward “paperwork reduction” by the IRS. For some years they have been mailing out separate envelopes and letters for each year owed along with duplicate enclosures — and that was a change from the many years they did send a single letter listing all the years and a total due. Nevertheless, the new style letter does not seem to indicate that the collection process is speeding up, and the Trump Administration has proposed more cuts to the IRS budget. Thus far we have had no reports from WTRs whose accounts were turned over to private collection. If you are noticing anything new, please contact the NWTRCC office! Thanks to those of you who sent donations over the summer or are monthly or quarterly pledgers, which is really a boost during summer months especially. 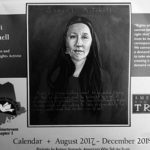 Please consider pledging online through Paypal (not tax deductible) or Resist (tax deductible) by clicking on the “Donate” button at nwtrcc.org, or contact the office for more information. The Network List of Affiliates, Area Contacts, Counselors, and Alternative Funds is being updated this fall. The latest list is online at nwtrcc.org, or contact the NWTRCC office (nwtrcc@nwtrcc.org or 1-800-269-7464), if you would like a printed list by mail. NWTRCC is very grateful for a generous donation of $5,000 received during the summer from Philadelphia War Resisters League, one of the oldest Affiliates in the NWTRCC Network. On the one hand, we are most thankful for this infusion of funds; on the other hand, it also represents the close-out of one of the oldest Alternative Funds. The donation came with this letter, complementing the article on page 1. Enclosed please find the first installment of the payout from the Ann Davidon Action Fund/Philadelphia War Tax Resistance Alternative Fund…. Our funds take a little time to disengage from the violence-free investments in which we’ve had them! Just a little history: peace activists in Philadelphia started Philadelphia War Tax Resistance in 1969. By 1971, they had an alternative fund, which for many years was a loan-fund. In 1975, in an effort to attract more people to be involved, we became a chapter of the WRL and changed our name to Philadelphia War Tax Resistance/War Resisters League. In 1982, we were part of the formation of National War Tax Resistance Coordinating Committee. As a loan fund, we accepted applications from organizations in the Philadelphia area that focused on peace, antiwar, education, community improvement and social change. As we dwindled in people-power, we decided to shift to making small grants for nonviolent direct action for justice and peace. After her death, we named the fund after Ann Davidon, who had been a stalwart activist among us since the beginning. We are pleased to be donating funds to our two “parent” organizations. We are also pleased by the new effort of redirection of resisted taxes to black organizing that NWTRCC is doing in Philadelphia with the leadership of Sam Koplinka-Loehr and Ari Rosenberg. It is with sadness that we report the death of Portland, Oregon, peace activist Ann Huntwork at age 86. 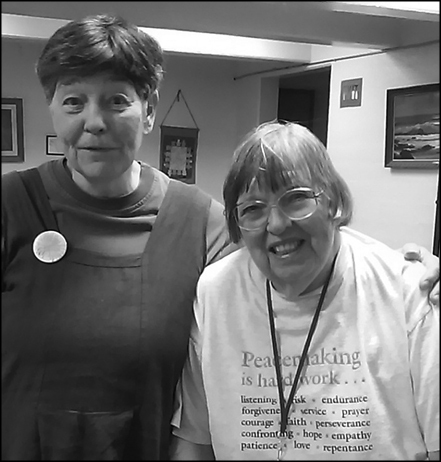 Ann was a longtime Area Contact for NWTRCC and active with the Oregon Community of War Tax Resisters. 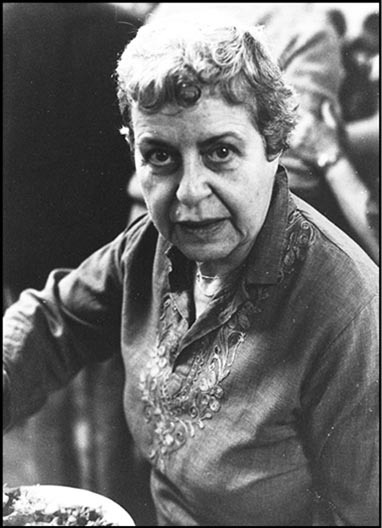 With her husband Bruce she lived in community at the 18th Avenue Peace House, was active in many groups, including the Seriously Pissed Off Grannies, and in 2002 spent six months in prison for crossing the line at the School of the Americas in Georgia. She was a member of the Westminster Presbyterian Church where she was honored for her life of service less than a week before her death. Ann is survived by Bruce and her 6 children, grandchildren, and the 11 other members of her Peace House family. Portland, Oregon: NWTRCC Coordinator Ruth Benn and longtime WTR Ed Hedemann joined Portland war tax resisters for a potluck and discussion on August 16 in the garden of Peace House, a four-decade old community home started by war tax resisters Pat and John Schwiebert and Ann and Bruce Huntwork. Kima Garrison and Pam Allee helped pull together an excellent dinner, and the 25 attendees included newly interested younger folks and long-time activists. It was a beautiful evening, and the locals even followed up with a spectacular total eclipse of the sun a few days later. 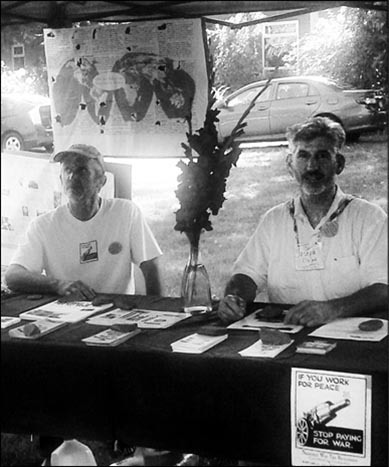 New York: It was a fun and very warm afternoon tabling for NWTRCC with Joseph Olejak at the 8th Annual Saratoga Springs Peace Week Fair on September 24. A smallish crowd provided a steady stream of people coming by the table to inquire about war tax resistance. We handed out WRL pie charts, palm cards, current issues of this newsletter, and other NWTRCC literature. Also displayed was the “History of War Tax Resistance” posters produced by the folks from Pioneer Valley War Tax Resistance. This was a good time to link with local and national organizations also represented at this peace fair hosted by the Presbyterian-New England Congregational Church as part of their annual Saratoga Springs Peace Week. 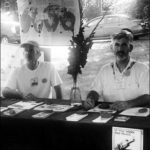 Washington, DC: World Beyond War held the “No War 2017: War and the Environment” conference September 22-24. Gar Smith, The War and Environment Reader (Just World Books, 2017), made mention in his Q&A of participants’ responsibility for war tax resistance, and Kathy Kelly gave a moving talk and in her Q&A time mentioned NWTRCC and war tax resistance. Kathy made NWTRCC materials available, and we were allowed to post the History of War Tax Resistance posters prominently in the hallway to the plenary room, which numerous people were regularly reading. The conference opened with the Sam Adams Associates for Integrity in Intelligence Awards, bringing together military, peace and environmental voices to end war now. The conference was recorded and can be viewed online at worldbeyondwar.org/nowar2017. San Luis Obispo: David Gross gave away a lot of NWTRCC literature to attendees at a talk by CodePink co-founder Jodie Evans at California Polytechnic State University. Her topic was “Divesting from the War Machine and Growing a Local Peace Economy.” Dave brought up war tax resistance in the Q&A, which got a shout-out from Jodie. CodePink is developing a stronger focus on local, small-scale initiatives that has echoes of war tax redirection to strengthen local communities. Tax resistance of the political/ethical sort is popping up more regularly these days (see p. 8 too). Once in July and once in August the New York Times Magazine column “The Ethicist” has dealt with it. One column responded to a question of whether or not a person should turn in their tax-cheating relative. The Ethicist’s careful reply suggested that family harmony might take precedence. In the other column, The Ethicist replied to the question, “Is it OK to protest Trump by withholding taxes?” Among the various arguments against tax resistance many of us have heard before, the Ethicist states, “When it comes to the federal budget, your individual tax payment isn’t even a rounding error. Perhaps, then, you want to reduce your complicity in what is going on. I am on record as thinking that these clean-hands arguments are usually exercises in moral narcissism.” The author thinks in a democracy we need to follow the laws even when we don’t like the election results, although he makes allowance for civil disobedience “when the law that we are considering breaking is not just unwise but seriously immoral.” Jim Crow laws denying African-Americans the right to vote are his main example; “decent citizens would have felt morally obliged” to break laws that, if followed, might harm others. It’s not clear how The Ethicist would respond to a war tax resister’s obvious reply that our taxes do harm others. Even if The Ethicist is not on board with tax resistance, the adage “no news is bad news” might apply here. Many readers may be led to consider the idea further — and might even find our website. Vietnam Peace Commemorative Committee (VPCC), October 20-21, Washington, DC, to recall the significance of the antiwar movement and especially the March on the Pentagon on October 21, 1967. Gather at the Pentagon Friday evening and on Saturday at Western Presbyterian Church. See vietnampeace.org for more information along with a response to The Vietnam War documentary. Divest from the War Machine Summit to launch a new CodePink campaign with many endorsers including NWTRCC, October 21-22, University of the District of Columbia Law School, Washington, DC. See codepink.org/divest. Look for a concurrent event in your area. School of the Americas Watch Border Convergence, November 10-12, ambos Nogales at the militarized U.S./Mexico border. NWTRCC will have a literature table, flyers to hand out, and maybe a workshop, along with participating in the march and vigil. Contact the NWTRCC office to connect with WTRs at the action. See soaw.org. Many campaigns encourage institutions to divest. We encourage individuals to take personal steps to divest from supporting war and violence. Use our Divest from War, Invest in People Organizing Packet for ideas on how to spread the word. The packet comes with a sample of our “divest” palm card and a flyer with text in English and Spanish. To order a FREE packet, contact the NWTRCC office, (800) 269-7464 or read it online at nwtrcc.org/programs-events/action-ideas/divest-war-invest-people. 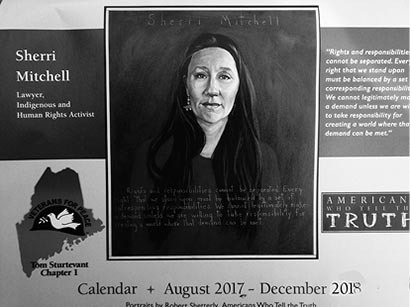 Veterans for Peace Tom Sturtevant Chapter 1 in Maine has produced a beautiful wall calendar featuring an activist each month, great quotes, group listings, a page for young people on “making a living without taking other people’s lives,” and movement history, including a whole page on war tax resistance. The calendar begins with August 2017 and runs through 2018. It’s a great gift for teens and a wonderful teaching tool for the high school classroom. To order a calendar, send a $15 donation to Maine Veterans for Peace, PO Box 927, Brunswick, ME 04011. The Podcast: You can now enjoy Matthew Hoh’s talk at NWTRCC’s May 2017 gathering in podcast form! Check out War Tax Talk episode #6: From the Military to WTR, at nwtrcc.org/media/podcasts-and-talks. Stay tuned for #7, coming soon, with interviews with several folks who have started resisting since November 2016. Subscribe to the podcast feed in your RSS reader or podcast application by inputting feeds.feedburner.com/WarTaxTalkPodcast. You can also find us on iTunes by searching for War Tax Talk. The Blog: Do you know that we have a weekly WTR-related blog? NWTRCC consultants and volunteers put out weekly essays on WTR happenings and related topics such as the latest Trump travel ban, the trans ban, finding humor in dark times, lifting up Vietnam era antiwar activists, strategizing, creating memes, and more! Subscribe to the blog at nwtrcc.org, and you’ll get a short email announcement each time a new blog posts. You can add your comments at the bottom of each essay, and if you’d like to submit an essay contact wartaxresister@nwtrcc.org or the NWTRCC office. Whew! What a trip. Eight days, six presentations, two conferences, nine states and provinces in two countries, 50 hours on the road, and 3,600 miles! There’s so much to share from my August war tax resistance organizing trip, I’m not even sure of where to begin. So I’ll share some tidbits and then if you have additional questions, please contact me. The first stop of my trip was perhaps the most peaceful. I arrived in Western Pennsylvania amid rolling green hills and a garden full of wildflowers. Karen and Michael Bagdes-Canning hosted me for a home presentation on war tax resistance as an avenue for challenging white supremacy. After a delicious bowl of chili we had a great discussion with a group of people who are involved with local organizing around environmental, healthcare, and peace issues. Many of them were familiar faces from when I was doing organizing against fracking and pipelines throughout Pennsylvania. I went on to Minneapolis to be on a panel at World Beyond War’s Democracy Convention August 2-4, and then lead a community workshop with local war tax resisters at the Twin Cities Friends Meeting. Unfortunately, the two local organizers and I were the only attendees, which allowed us a lot of time to discuss the challenges of WTR organizing. Protest action during the Toronto conference. Photo by Sam Koplinka-Loehr. 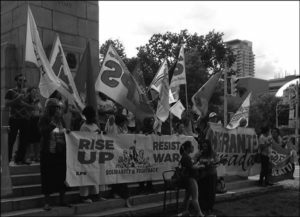 It’s hard to gauge but I think the most effective part of the trip was my presentation at the “Solidarity and Fightback: Building Resistance to US-led War, Militarism, and Neofascism” conference in Toronto. The conference was organized by the International League of Peoples Struggle and brought together people who are involved in resistance struggles from around the world, from the Philippines to Kurdistan to Oakland. In particular it was inspiring to hear from youth activists who are working for true system change and building connections across huge divides. I was on a panel discussion of radical activists from the United Snakes of America as well as Klanada. There were about 30 people in attendance, almost all of whom had never heard about war tax resistance and were excited to know that this form of civil disobedience “in the belly of the beast” was alive and well. There are a number of people who are now wanting to organize presentations in their local communities. I also got to meet Monica Moorehead which was a life goal! My favorite moment once I arrived back in the U.S. (coming over the “peace bridge” into Buffalo) was joining up with Vicki Ross from the Western New York Peace Center for her “talking peace” radio show on the university station. It was a solid conversation about everything from systemic racism and war tax resistance to fracking to trans issues. The next big trip starts October 11 for a college tour through the northeast. Contact me for information or requests for a presentation: organizer@nwtrcc.org or (607) 592-7650. 32nd New England Regional Gathering of War Tax Resisters and Supporters & Gathering and Meeting of the National War Tax Resistance Coordinating Committee. The weekend focuses on the economic survival of resisters as students and as new graduates. Workshops and materials will address student loans and debt, work for activists, and how war tax resistance fits into the mix. Opportunities for networking with activists locally and nationally will abound. The gathering begins with registration and dinner late Friday afternoon at Pioneer Valley Cohousing, 120 Pulpit Hill Road in Amherst. The core program takes place at Goodell Hall at UMASS Amherst on Friday night and Saturday. Sunday’s business meeting and an afternoon WTR Counselor Training will be at Cohousing. Contact the NWTRCC office for a brochure (800-269-7464) or see nwtrcc.org/programs-events/gatherings-and-events. Tax protest is easiest by having no income. I’ve done that. For eight years I lived in poverty to pay no taxes legitimately. That is legal. This is not legal. The repercussions will be severe. But so is the death of democracy. And I believe that is happening. Thinking about removing all my books from sale and giving that up. But if that’s what I need to do, then by God, I shall do it. Feel free to RT [retweet]. I am not hiding about this choice. I’m doing what I must. That’s all there is to it. Another point to make. I wouldn’t have to make this choice if the Congress would #impeach this sociopath. They should serve us but don’t. Getting requests for more info. I’d start here: nwtrcc.org/resist/frequently-asked-questions. It’s usually “war tax protesting” but today is similar. See this letter and follow-up comments online at twitter.com/LouCadle/status/908363376199266304.